Dr. Alhaddad has practiced medicine for nearly 20 years. He is a Board Certified in both Interventional Cardiology and Vascular Medicine. He specializes in heart, peripheral and vein care services. 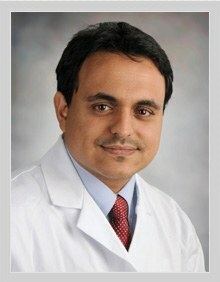 Dr. Alhaddad is dedicated to patient care, research and eduaction. He believes in not only correcting problems but in the prevention of problems. His excellence and expertise in vascular procedures has made him a major patient referral source for the Mid-South area. Bloom Full Service MedSpa is Jackson's first and only Full Service MedSpa offering aesthetics along with many other medical treatments. Bloom's philosophy is providing health and wellness while helping patients achieve their aesthetics goals. All clinicians and service providers are licensed, certified and trained in all treatment procedures. Our approach to services provided is conservative with realistic goals. Together we ofer the West Tennessee area the latest in Aesthics and laser technology for a youthful, healthy and beautiful you..